The staff at Global Livestock Management Systems LLC. are cattlemen, so we understand the importance of accurate record-keeping. We developed CattlePro™ to help meet and survive the ever changing needs of the cattle industry. We believe that CattlePro™ greatly aids the producer in keeping up with technology and the everyday demands of the cattle business. CattlePro™ has been a labor of love. The cattle folks love their industry and they continue to spend their time pursuing the development of the perfect product. 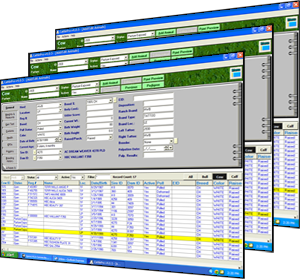 After years of programming, we are eager and excited to offer the opportunity to own the best cattle management system, as well as goat, sheep, and horse management software, available to ranches of all sizes and types. We look forward to providing this exceptional herd management system to you and we are also looking forward to knowing you and your ranch.